The project included a 65,000 sq. ft. expansion to the east of the existing parking deck consisting of a slab-on-grade level and two elevated decks. Construction also included an 88,000 sq. ft. addition above the existing structure consisting of two post-tensioned, cast-in-place concrete decks. With the existing parking deck needing to remain open throughout construction, exacting care and schedule coordination on the part of Donley’s was required, in order to minimize the disruption to the users of the facility. In addition, the project included a one-story extension to the stair and elevator tower, which also had to remain operational during construction. This structure marks Donleys second Design/Build garage project for the City of Akron. The 900-car, 313,936 sq. ft. parking facility is constructed of post-tensioned, cast-in-place concrete. Donleys work consisted of demolition of the existing North garage and ramp, and the design and construction of the new layout on the existing foundation. The five-level facility features a glass-enclosed stair tower, two elevators and a skywalk/tunnel to nearby GoJo Industries. The skywalk was completed in an impressive four weeks. Donley’s was the Design/Builder for this 475-car parking deck to accompany Bridgestone’s new Technical Center in Akron. The four-level structure is constructed of cast-in-place, post-tensioned concrete and features LED fixtures. The Donley team’s design complements the new Technical Center through the use of similar materials, such as Swisspearl Fiber Cement Panels and Stainless Steel Flatlock Panels (a Bridgestone/Firestone product). In addition, the use of yellow brick ties the parking deck to the historic ballpark that is adjacent to the project site. 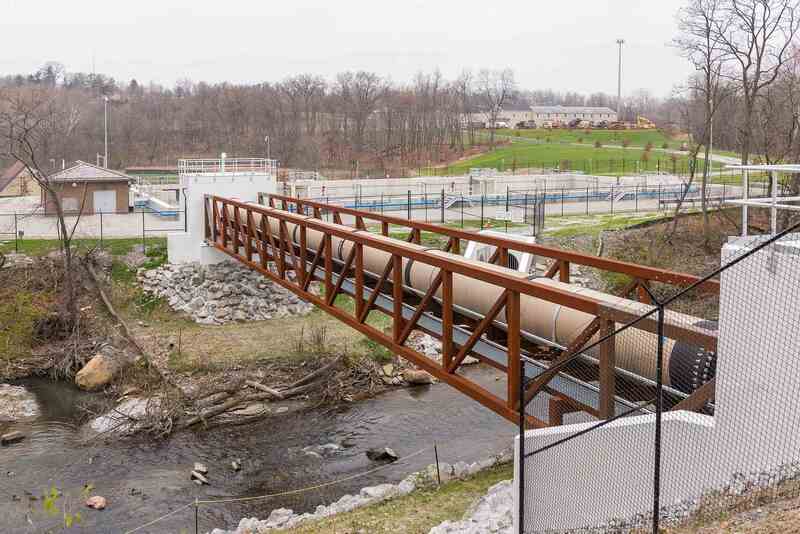 A pedestrian bridge connects the approximately 165,000-square-foot parking deck to the Technical Center, providing convenient access for employees and visitors alike. This 2,939-space parking deck serves Goodyear’s new world headquarters facility and features covered parking for all spaces. 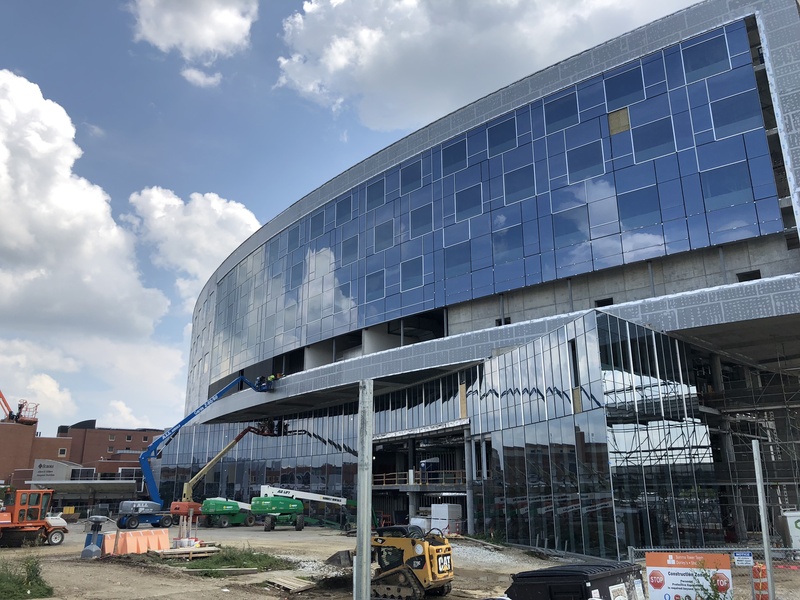 In addition to the parking deck, Donley’s was responsible for the construction of the 320 ft. enclosed pedestrian bridge that connects the deck to the headquarters building located across Innovation Way. In addition to serving as design/builder on the project, Donley’s self-performed the cast-in-place structural concrete construction of the 5-level parking deck. The three-story addition includes 16 state-of-the-art operating suites, four of which are specifically dedicated to open heart surgery. The facility also houses an outpatient surgery center, a pre-admission testing area with ten exam rooms, and a diagnostic radiographic room. Ten beds were added to the emergency department, bringing the total to 49. Other additions and renovations were also made to the emergency department.